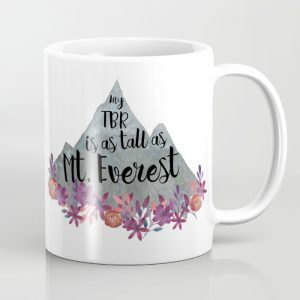 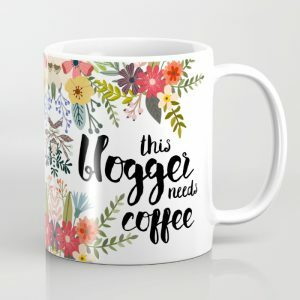 I came across Society6 while browsing Laini Taylor’s blog for writing posts, then getting completely distracted by pictures of her beautiful and quirky home. 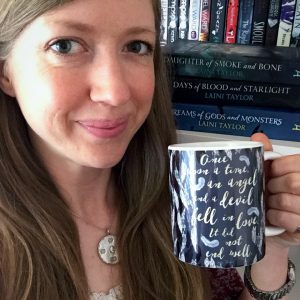 (I’ve become a bit of a Laini Taylor fangirl.) 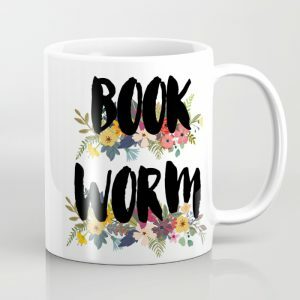 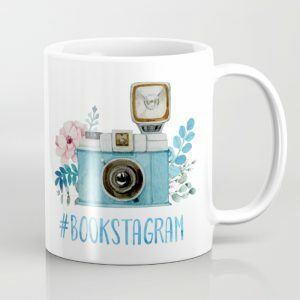 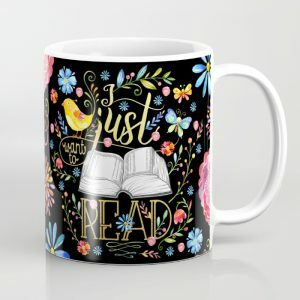 She recommended Society6, so I clicked through, and then spent approximately one million hours browsing all the beautiful bookish designs, which can be printed onto mugs, cushion covers, tote bags — you name it. 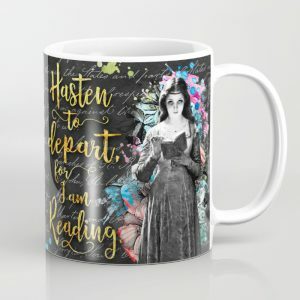 Browsing the site has become a bit of an addiction. 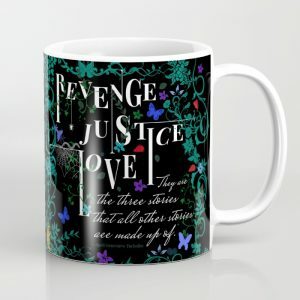 I have a thing about mugs, and could open my own coffee shop with all the designs I’ve been coveting. 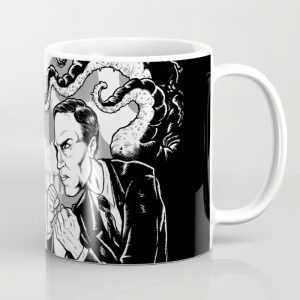 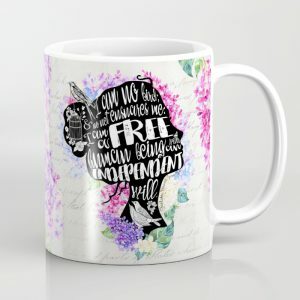 So far, I’ve only let myself buy one: a Daughter of Smoke and Bone quote mug by artist Evie Seo (who has pages and pages of gorgeous bookish and YA-based designs). 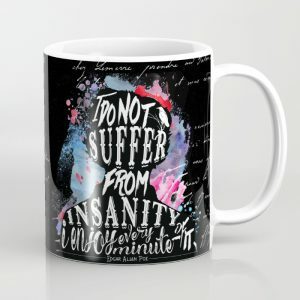 If you check out Society 6, let me know what you think!